Metal Gear Solid V: The Phantom Pain isn’t just another entry to Hideo Kojima’s world-class canon; it’s an ambitious statement of a video game. A game which begins with David Bowie’s ‘The Man Who Sold the World’ clearly exudes a certain amount of confidence – and as the song’s powerful lyrics begin to raise early themes of existentialism and humanity, players will get their long-awaited first glimpse of Kiefer Sutherland’s Snake in action (upon second reading, I realise that sounds a bit like a euphemism). The song isn’t just bog-standard contextualising filler either; it is one of many cleverly constructed layers that develop throughout the course of the 50-hour campaign. The genius of Hideo Kojima strikes in emphatic style, making Metal Gear Solid V the standout title of the year. The game is set in 1984, the year in which George Orwell predicted that the fictional Big Brother regime would strip humans of their freedom in a dystopian future. The mirroring of Orwell’s protagonist Winston Smith and Kojima’s front-man Punished “Venom” Snake couldn’t be more appropriate – both are two lost souls searching for purity and freedom, ready to take on the unstoppable forces that dictate the evil in the world. 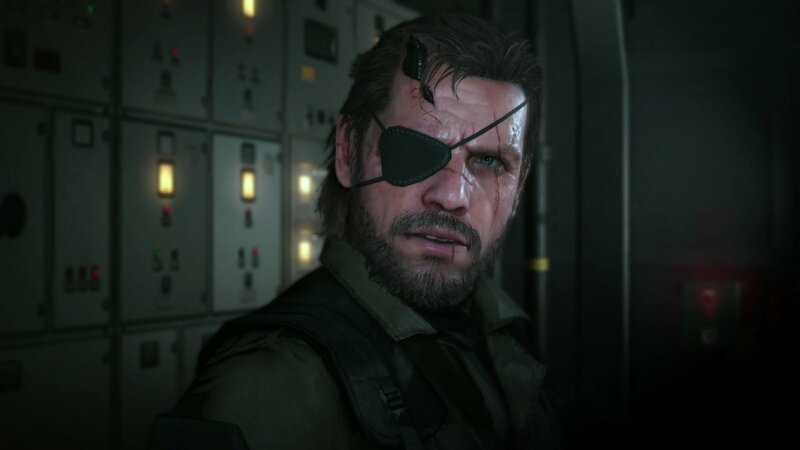 The Phantom Pain kicks off (almost) exactly where Ground Zeroes left us – with Snake awaking from a nine-year-long coma after being blown to smithereens as a result of an ambitious attack from the shady XOF faction. It’s up to the player to pick up the pieces, rebuild Mother Base and end the battle with the terrifying antagonist Skull Face once and for all. Expect twists and turns of the usual caliber along the way. 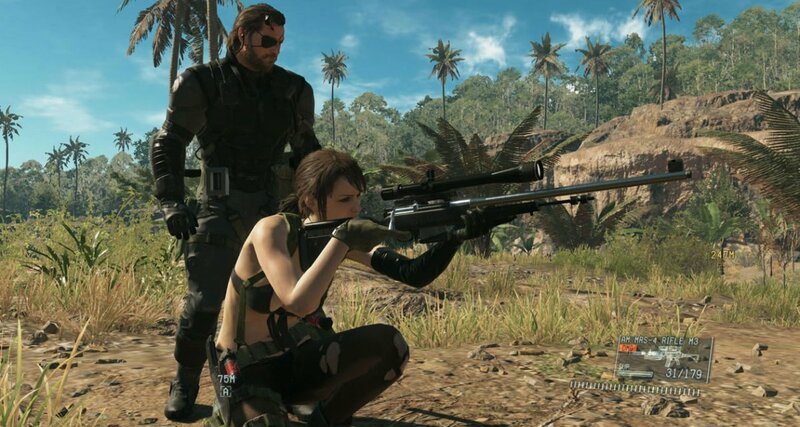 The first thing to note about The Phantom Pain is just how contemporary it feels. Everything from the narrative, to the cinematic ‘all-in-one-shot’ style cut scenes, to the open-world gameplay feels right at home in Metal Gear Solid’s skin. Kiefer Sutherland heads a cast of wonderful voice actors who bring serious brevity and depth to numerous characters who, in the past, have sounded as if they were awkwardly adapted from a Japanese script. The visuals are brutal and truly breathtaking; the day/night cycle that organically flows during your days exploring the Afghanistan desert being the pick of the bunch. The game feels A-grade, although I genuinely shudder to think of its budget. There’s a moment near the start of the game as you’re fleeing a Cypriot hospital, whereby a sinister soldier rhythmically takes his time stepping from curtained room to curtained room, shooting injured patients that lie in bed – hoping one of them is Snake. The body count is high, the carnage is visceral and blood undoubtedly covers every inch of the screen as you witness the horror in a hidden prone position. That moment left me with one unerring feeling: there’s nothing I can do to help. You just have to take it, roll with the punches. It occurred to me at that moment that The Phantom Pain is all about fleeing the fight, using your brain, not engaging in the acts of violence and keeping a low profile as you strive to achieve the bigger picture. The idea of fleeing the fight seems very apt for a franchise whose key message is to promote peace and harmony and debunk the concept of war. I truly love that, although in this modern age of Call of Duty I worry the gameplay may feel too slow for some gamers. Stealth play has always been the key to the franchise, and here it is explored in ways that feel natural, open-ended and incredibly thrilling. Snake has all his usual weapons and gadgets which allow him to locate and tag enemies before tactically taking them out – however this time he can do all of this recon whilst riding a symbolic (yet very literal) white stallion through the vast wasteland of Angola-Zaire. The prep-work is both fun and necessary to completing a mission as successfully as possible; as always the name of the game is to be heroic, go unnoticed and leave as few casualties in your wake as possible. Occasionally you’ll have no other choice but to run-and-gun your way through hordes of soldiers but those moments feel tense and deserved. There are instances where encounters are thrust upon you, where your mission is to avoid detection or get the hell out of an area in about ten seconds – these moments are fun but extremely difficult. The spontaneous encounters, more often than not, made me feel a bit useless – I tended to always get spotted and found myself riding away on horseback to avoid certain death. On another pedantic note, I also found there wasn’t nearly enough storage spaces to hide incapacitated enemy bodies. You’ve got a variety of dumpsters, lockers and toilet cubicles at your disposal to dump your sleeping/deceased opponents in, yet there always seems to be too few for the amount of enemies you face at any given time. There’s definitely a need for more support. The game is fun, fair yet extremely hard. The combat feels fresh and slick, with a variety of button combos at hand to help you take cover, take aim and switch over-the-shoulder views in order to facilitate your headshot mastery. However when you don’t execute a carefully thought-out plan properly, all hell breaks loose and the game ramps up in difficulty 100%. You may plan to take out the searchlights that cover every inch of a hostile area, then climb up a vantage tower in order to snipe a host of armed opponents before swooping in and rescuing a valuable comrade. Great plan in theory, but if you miss that first initial shot on the searchlight and a host of soldiers are alerted to your presence, they will not stop until you are found and killed. The open-world gameplay looks endless – but you must remember this is a video game and when the going gets tough you can’t simply adorn horseback and ride off for a while til the heat dies down. You’re penned in to the area and its mission failed if you try and escape. An unforgiving game, true, yet a fair one. The game isn’t flawless, however. I found I had consistent issues with the manual camera controls, particularly when using the games various modes of transport to rip through areas of the map. Also, whoever decided that holding RB is an appropriate way to use binoculars should be sedated and shoved in a dumpster. One click of RB to use them, one click to put them away would have sufficed – instead you have to get used to a wankers-cramp style of hand-positioning while you look through your trusty specs to recon an area. I haven’t felt that much pain using something so instrumental to a game since those plastic controllers from Guitar Hero. Perhaps I’m in a minority here, I certainly haven’t heard anyone else complaining about this – it just gets me in the jugular, that’s all. Equally after Act II, I found the game began to slow down and become repetitive in parts – a real issue considering how wonderful the gameplay and storyline are up until that point; dangling in front of you, urging you ever forward. I know previous iterations of Metal Gear are infamously cut scene-heavy. Metal Gear Solid 4 tried to take the proverbial p**s on several occasions, however here the cut scenes are so well produced and interactive I felt as though they’d been directed by an auteur of modern cinema. As a film buff, I definitely appreciated the pauses in gameplay to watch the story develop in such wonderfully framed and intriguing ways. For anyone who has seen films from Alfonso Cuaron will notice similarities in style here to Kojima. As Cuaron’s 10-minute ‘all-in-one-shot’ battle in Children of Men wows the audience with its relentless pace and unflinching brutality, almost every scene in The Phantom Pain never seems to cutaway to another angle – keeping you relentlessly penned in to the ruthless, bloody affair. During dramatic moments you may see someone’s feet slowly step into the frame, then pull out to see their whole body, then we slowly pan to place Snake in the frame, then crash zoom into their holster as they withdraw a pistol and fire. I could go on – you probably get the picture – it is utter genius and I will never tire of watching Kojima’s storytelling mastery. 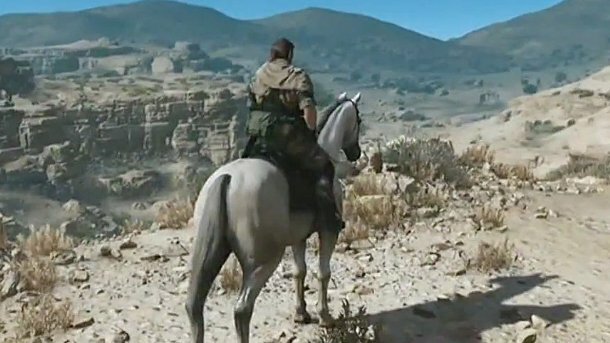 Metal Gear Solid V: The Phantom Pain would make a fantastic movie. It’s visceral, relentless and above all else, polished to perfection. It’s a shame, then, that it has to settle with being just a videogame. A videogame, by its very nature, has its own set of repetitions and limitations – and these become evident during the games’ latter stages. From Act II onwards, the pace of Snake’s adventure slows massively and I found myself having to take lengthy rest-bites on several occasions in order to not lose my sanity. Much like the original Assassin’s Creed and its infamous penchant for having twenty identical missions that generally followed the structure: follow Person A to Person B, pick your moment, assassinate – The Phantom Pain struggles to wriggle out of its own mission confines. The world Kojima creates is an incredible one; vast, dark, living and breathing. The missions are fun to execute, don’t get me wrong, they just lack a little variety and excitement to truly match the games’ untouchable first five hours of gameplay. That said, the game is a gift that keeps on giving. Aside from a supposed 100-hour completion time – this whole review can’t even touch on the exciting promise that will be the future release of Metal Gear: Online! Talk about bang for your buck. As many have said before me, not only is this easily the best Metal Gear game – it may be one of the greatest games of this generation. Well worth a purchase, regardless of whether you’re a veteran to the series or a newcomer to the whole affair. The themes and messages are subtle and beautifully woven into the intricate story, the acting is top notch and the gameplay (for the most part) is untouchable. Hats off to Kojima, he’s earned the right to flash his name up every 10 minutes or so in the game.